Our homes are slowly but surely getting smarter by the day, thanks to the sheer amount of technological advancement that we have seen achieved over the past few years. There are a million things that can go wrong with your home while you are away on holiday or at work — be it a fire, a flood, or other kinds of disasters. Since we live in an age where we would like to know just about everything first hand, Fibaro has come up with what some might consider to be crucial — an Apple HomeKit-enabled flood sensor that will be accompanied by special motion and door/window sensors. The trio of new devices would be known as the Fibaro Flood Sensor, Fibaro Motion Sensor and Fibaro Door/Window Sensor. Regardless of which particular one that you would choose in order to equip your home with, all of them will boast of intuitive technology as well as a sleek design, complete with Bluetooth LE connectivity within. There will also be a new app launched by Fibaro within which intend to offer ease of use, remote access and extended product functionality. Apart from that, the trio will also integrate with and can be controlled via the Apple Home app in iOS 10. 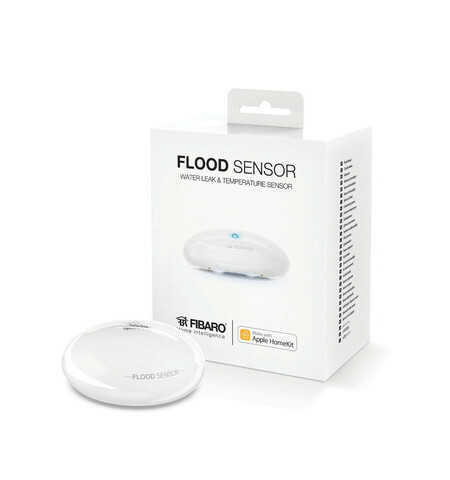 The Fibaro Flood Sensor holds the distinction of being the first water sensing and leak detection device under the Apple HomeKit ecosystem. It will come with gold telescopic probes which can detect water the moment it appears, which means it works well even on uneven surfaces. An LED indicator works with an acoustic alarm signal, which will alert users of flooding or tampering. The Fibaro Motion Sensor will be a multi sensor that can measure movement, ambient temperature and light intensity. It will run on an internal battery and has integrated tamper protection via its built-in accelerometer. The Fibaro HomeKit range will ship to the US and anywhere else that supports HomeKit. The Fibaro Flood Sensor and Motion Sensor will retail for $69.99 each, with the Door/Window Sensor being $10 more affordable.